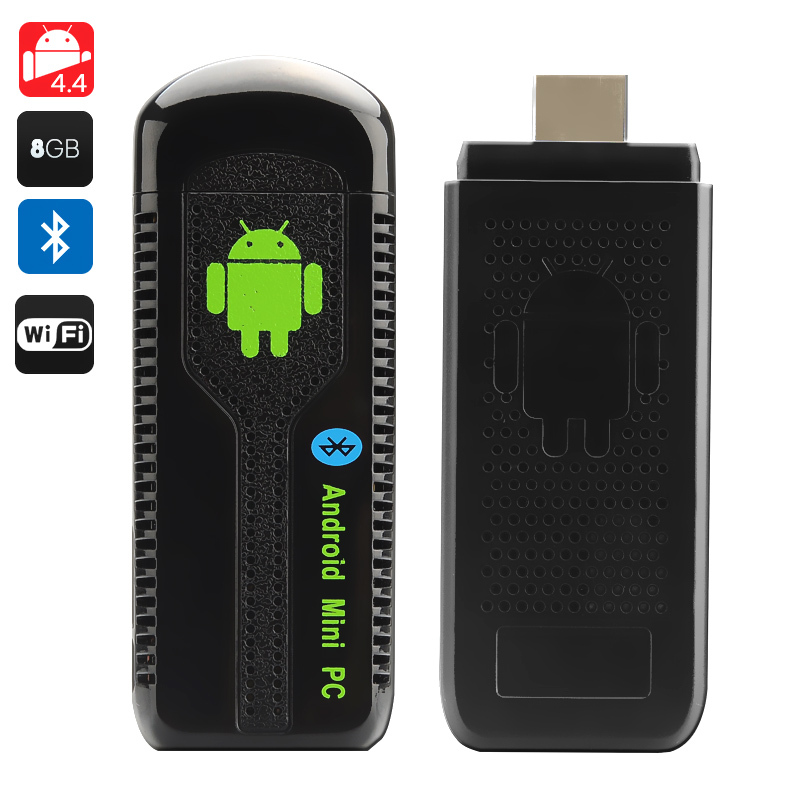 Successfully Added Smart TV Dongle 'Key IV' - Android 4.4 OS, 1.4GHz Dual Core CPU, Bluetooth, DLNA, 8GB Memory to your Shopping Cart. Following the success of the ‘Key III’ Android TV dongle, we are now proud to announce that the newly upgraded ‘Key IV’ is now available. The major change is that it comes with Android 4.4 operating system pre-installed. With Android 4.4 KitKat you get an incremental improvement, with subtle visual upgrades that enrich the experience without being glaringly obvious. One of Google's key objectives with Android 4.4 was to make an OS that would run on devices with 512MB of RAM, and this TV dongle has a huge 1GB of RAM. The mighty 1.4GHz dual core processor will give you even more power to run apps faster, bringing the user experience to a new level especially when performing multiple tasks at the same time. No need to replace your current TV if you want to experience the power of a Smart TV at just a fraction of the cost by just inserting this TV dongle. Now you can relax on the sofa as you browse the web, install apps, check your Facebook wall, tweet and so much more. Enjoy your movies in crystal clear resolution as this TV dongle supports 1080p HD video playback. Due to having 8GB of internal memory and a Micro SD card slot, your Android TV Stick will never run out of storage space. Bluetooth is present on this TV stick, so you can sync to a wireless keyboard or mouse plus you can use the Bluetooth function file transfer is made much easier. What's more, thanks to DLNA compatibility, this Android TV dongle can communicate with other DLNA devices without problem. Offered at a low wholesale price, this item is now in stock and available for single or bulk purchase. Buy now and it ships out within one working day. Brought to you by the leader in wholesale android media players, Chinavasion. The Android OS version on this device can not be upgraded or flashed and any attempts to modify the default OS will void the warranty. As a wholesaler, Chinavasion provides no software support, advice, or training regarding the Android operating system and software. I love this device. It is great to take to hotels when traveling. even preloading movies and games and taking it on a cruise ship. plugs into every modern television. Now I can leave my laptop at home.